Having the opportunity and support to learn to ski while you’re young is a wonderful gift. But for many parents, knowing when to start and how to help your child learn isn’t obvious. So we’ve put together a few ski tips to help you get started. Before you even arrive at the resort, talk to your kids about skiing and show them photos or videos of you skiing. Play-ski in the living room; pretending you’re zooming down the piste is also a good way to help them understand what skiing is. You can also tell them about how you move and stop when you’re skiing. Everything is much harder once you’re all wrapped up. So taking the time now to familiarise them with skiing is a great idea. Before you book ski lessons for your child, get them used to being in the snow. 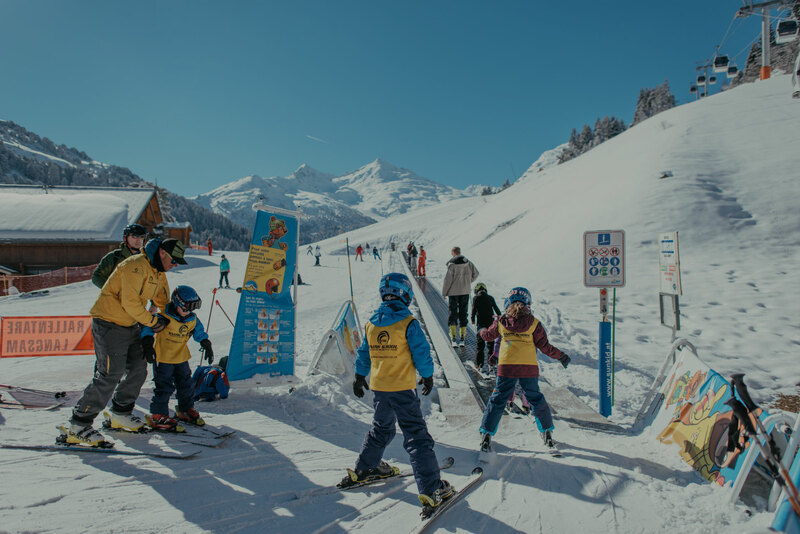 Many resorts have snowy playgrounds and these are great for acclimatising to the weather and learning how snow feels and moves. After this, you can move on to running around in the snow and getting them used to falling in snow. It may seem obvious, but the best way to introduce skiing is on the flat. Getting your kids used to walking in the boots and then skating on the skis builds confidence and fitness. You can also pull them along on the pole to familiarise them with bending their knees. Hardly surprising coming from a ski school, but for little kids it’s even more important than for adults. This is when habits for life will be learned. Also, kids are used to being told what to do and don’t push back. Sometimes well-meaning parents can endanger their kids on the slopes. And if your child hurts themselves you could put them off skiing for a long time. So find a trained, licensed instructor who has years of experience teaching kids to ski. Learning to ski is also about learning to fall. One good ski tip for teaching kids is to not make a big deal out of falling. If you’re scooting about on the flat and they tumble, just say ‘upsy daisy’ and help them up. With older kids 4 and up, you don’t even need to say that! Of course, if you’re on the hill and they fall or are scared, a hug and reassurance is the best plan. 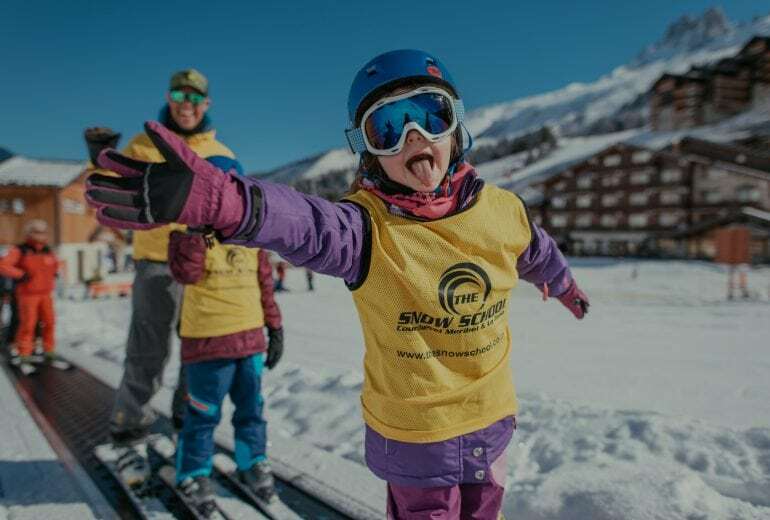 And finally, while many kids in Europe start skiing at three, this takes place over many one-day trips in the season and with their crèche group. If you’re on a one or two-week holiday with your toddler, learning to ski in one go can be too much to ask. For a ski course, kids need to be self-sufficient and able to undress themselves to go to the bathroom alone. With little ones, the best thing to do is book a ski hour and go along. If you do this three times in the week, you’ll help your child build pre-ski confidence without scaring them off.